Social networking junkies will love the ST600 for its innovative design and style. 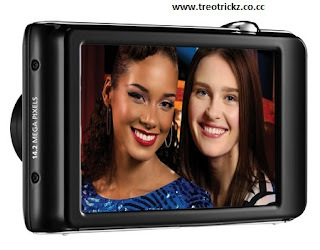 With a 1.8-inch secondary display in front, it becomes easy to shoot pictures of yourself with your friends and family. You can also set it to display an animation to make children smile or display a smiley on half shutter press so the subjects know they have to be ready. The front LCD can be activated by tapping on it or pressing the button on top. The ST600 is an upgrade to the ST550. The resolution has been bumped from 12.2 megapixels to 14 megapixels and optical zoom has been upped from 4.6x to 5x. The internal memory has been trimmed from 55 MB to 13 MB and so has the weight by a good 37 grams to 150 grams. The rest of the features are more or less similar. The ST600 sports a completely touch-driven UI. The back has only a large 3.5-inch capacitive touchscreen. Samsung has done a fantastic job with the UI, which makes the camera very easy to use even for first-timers. In the Auto and Smart Auto modes, the camera automatically detects the scene and uses the appropriate exposure values. The Program mode allows you to set white balance, ISO, metering mode, resolution, EV, etc. There are 12 scene modes and a dual IS mode, which uses a combination of optical and digital IS for steady shots, which is useful in low light. 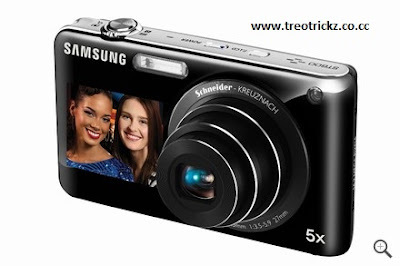 The ST600 can shoot 720p videos at 30 fps with optical zoom support. We tested the camera indoors and outdoors in various lighting conditions. Colors appeared washed out and the reproduction of details was not up to the mark. The captured videos came through very well though. 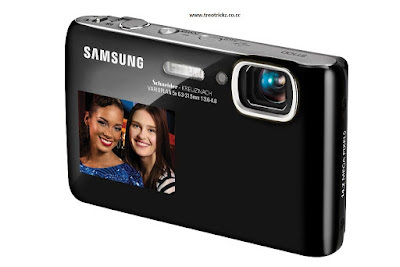 You can get a compact mega-zoom camera with better performance for much less, but this baby will surely turn heads.